An Amish Home is four Amish Novella’s by four of my favorite authors. Each story is about a different family and the ups and downs that each Amish family go through. I love Amish stories because the Amish lifestyle is so peaceful and comforting. And each of the stories are just that. While reading each, I enjoyed the challenge of living my faith more and more in my everyday life. Each of these authors, Ruth Reid, Amy Clipston, Kathleen Fuller and Beth Wiseman gives us wonderful entertaining stories that will warm your heart. 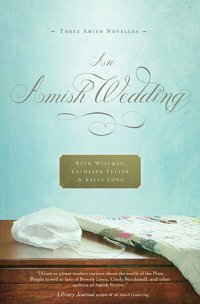 An Amish Year is a collection of four stories written by one of my favorite authors, Beth Wiseman. The four stories are Rooted in Love, A Love for Irma Rose, Patchwork Perfect, and When Christmas Comes Again. I love all of these stories, and I love that I can read a story in one sitting. 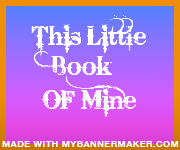 If you don’t have time to read a full book, this is an awesome alternative for you. Each story is short, well written, and the characters are adorable. I fell in love with them all! You just can’s go wrong with An Amish Year! Ethan Dolinsky’s roofing job in Lancaster County, Pa ended up changing his life, and lifestyle when he fell in love and converted to the Amish faith. But when Ethan ended up hanging himself, his sister Charlotte decides to fake being an Amish to try to find out what happened to him. But as one lie leads to another, Charlotte finds herself in some compromising situations as time goes on. Will she find the answers she is looking for? And what will happen when secrets about Charlotte come to surface? Find out in this amazing new book by author Beth Wiseman. If the book is written by Beth Wiseman, then I know its going to be a keeper! I love anything this wonderful author writes! This story is different than most of your typical Amish stories. With Ethan converting to Amish, then the hanging, and Charlotte deceiving the Amish community by posing as one of their own, this book is sure to keep you on the edge of your seat! I grew to love the characters early in the book, and really felt for them because they were all grieving the loss of their loved one. There is a lot of tensions floating around in this story, and I like the way Ms. Wiseman handles the touchy situations. And I also love the way she keeps the plot exciting and interesting, keeping me interesting enough to read most of the book before putting it down! I love this story, and look forward to book two in this series! In the Father’s Arms by Beth Wiseman Ruth Anne Zook is excited that she and her best friend are due with their children the same week. But when Ruth Anne’s baby is born with Down Syndrome, she and her husband struggle to understand God’s plan. A Son for Always by Amy Clipston Carolyn and her husband Joshua are thrilled to be pregnant with their first child. A teenager when she had her son Benjamin, Carolyn still feels obligated to work to secure Ben’s future, even though Josh adopted Ben. She struggles to realize that Josh will love and protect both of their children equally. A Heart Full of Love by Kathleen Fuller Ellie’s mother loves to meddle in her personal life-especially now that Ellie’s pregnant. Since Ellie is blind, her mother worries that she won’t be able to handle the baby. When Ellie gives birth to twins, her mother insists on moving in. Just as everyone reaches the breaking point, a miracle draws them closer to each other and to God. An Unexpected Blessing by Vannetta Chapman At 42, Etta thought her time of having children was over, but she’s pregnant again. She goes into labor during a blizzard, and complications with the delivery raise fear. Etta struggles to accept Gotte’s wille for the baby and her son, David, who moved away two years earlier in search of what he would do with his life. Rosemary is doing her best to run her family’s household. She excels at all her tasks except one: gardening. Saul has been interested in her for years, but Rosemary has turned him down repeatedly. Saul begins helping with her family’s garden, but someone is sabotaging his efforts-and keeping a secret that could change their lives. An Amish Garden is special to me because it is a collection of stories written by four of my favorite Amish authors! It is like getting four books in one!! And Each story is wonderful, I can’t pick out a favorite because I love them all! Each story involves a young struggling to find her way in the life she is living in, through following her God. And each one seems to be dealing with loneliness of one kind or another. As with all Amish books, this was a delightful read, and I enjoyed getting another glimpse of the Amish lifestyle. Even in their struggles and difficulties, the calm, plain lifestyle is evident. 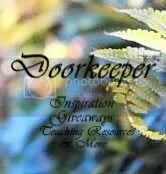 If you enjoy Amish stories, you will enjoy An Amish Garden, and you get not one, but four books in one cover. The are short, so you don’t have to read them all at once! But it is also a fast read, I started reading it today when it came in the mail, and finished it at around midnight! I hope you enjoy it as much as I did! An Amish Kitchen is a neat collection of three novellas, and the Amish Kitchen of the characters has a huge part of each story. The stories are so realistic because the kitchen is a major part of the Amish lifestyle in reality. And I loved getting the recipes as a bonus in this book, especially the herbal remedies! I love Amish fiction and really enjoyed Faith and Abram’s story in Kelly Long’s “A Taste of Faith; reading about Hannah King’s Bed and Breakfast and newcomer Stephen Esh in Amy Clipston’s “A Spoonful of Hope,” and Beth Wiseman’s “ A Recipe for Hope,” and Eva Bender and her family’s disaster when a tree falls on her haus. In all three of these stories, the characters deal with difficult situations, and they need to trust God and depend on Him. Their faith carries them through, but it is not always easy. It is difficult to pick a best one, because they all interacted so well together and I enjoyed them all. If you love Amish fiction, this one is for you. You will love these short stories. This is a great book for those who really don’t have time to read a full size novel. Booksneeze provided a copy of this book for me to read and review through their blogging program. I was not expected or required to write a positive review. The opinions in this review are mine only. Danielle thought Matthew really loved her, but when she tells him she is pregnant, well everything changes. Matthew is not ready to settle down and be a father. Funny, he should have thought about that before, right? And when Danielle tells her best friend Levi, he is also disappointed with her. Now she needs to figure out a way to tell the couple who took her in a year ago, Maratha and Arnold. And she needs to figure out how she will raise her baby. This would have never happened had she known Matthew really didn’t love her. Matthew is a regular Amish jerk. Like he didn’t have a thing to do with this baby? Why do some men, like Matthew think its not their responsibility? This is one of those books that has me hooked from the first page. The characters are realistic and believable and they develop very well as the story unfolds. And as with all of Beth Wiseman’s books, there is so much going on with the plot that you don’t want to stop reading until the end. I thoroughly enjoyed this story of betrayal, love and forgiveness and I think you will as well. If you enjoy Amish fiction, you will enjoy His Love Endures Forever. It has a few twists that makes it a little different from most Amish books, but they are good twists!